Instant Car Solution, our proud partner of Drive.MY! 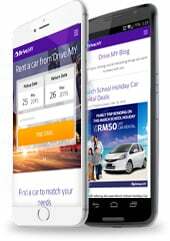 Instant Car Solution is the top leading car dealers in Malaysia, and even Asia. Instant Car Solutions provides all kind of car related services such as car selling and buying, car maintenance/service, car loan, car wash, car rental and many more.